2) Don’t Plan Everything – it’s a common mistake to only try things that you are very familiar with at a convention. Cons are a great opportunity to try things that you cannot play at home. If someone is running Teenagers From Outer Space at a big con, chances are they love it and they are going to share their love for that game with you in an impressive way. Try things that you can’t play at home, and who knows, maybe you’ll discover your new favorite game. 3) Meet People – several times, my friends and I have traveled four hours and spent money on hotel and food only to play the game that we could’ve played the following week in my basement. People go to cons, then play games side-by-side with the regular gaming group, also sometimes playing games that are available anywhere and anytime. Granted, it can be hard to get the number of tables at home that you can get an icon, but with such a unique opportunity to play a variety of games, don’t waste it by simply duplicating your home game somewhere else. 4) Food planning – some cons will not provide for breaks between slots. This can lead to you either gorging on junk food all day (DC 15 Fort Save vs. Garbage Gut ) or starving all day until you finally get a decent break. Protein shakes, nuts, dried fruit are all healthier alternatives that travel well and will fill you up until you can get to that extended break. 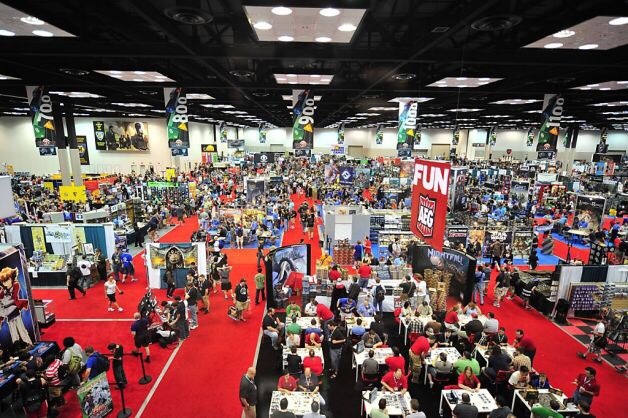 5) Pack Light – For some reason, a lot of gamers feel compelled to bring a lot of books to a con. Some games require you have the book for your class/race/etc with you. If that’s really a must, bring it but otherwise a PDF is just the thing for ‘must have’ data. You’ll want to have the flexibility in case you hit the dealers room. 6) Plan on Splurging – You will be seeing at least one thing you can’t live without. I’d recommend $200 for spontaneous purchases if you can swing it. There are things at convention dealers rooms you’re never going to see again (internet be damned). 7) Don’t overdo it – Don’t let yourself become a slave to the con schedule. If you want to sleep in, to hell with it, sleep in. Being rested is a good way to ensure you enjoy yourself. I just about died last year at SCARAB when I showed up with a cold and then proceeded to avoid sleep for three days. You will not regret this decision. 8). Plan for next year now – Remember that con hotel registration starts to get lined up not long after the con ends. If you had a good time, start planning for the next year while everything is fresh in your mind. Everyone has a few tips for cons that they live by. Share yours with us! Do not move along! This is the book you’ve been looking for! 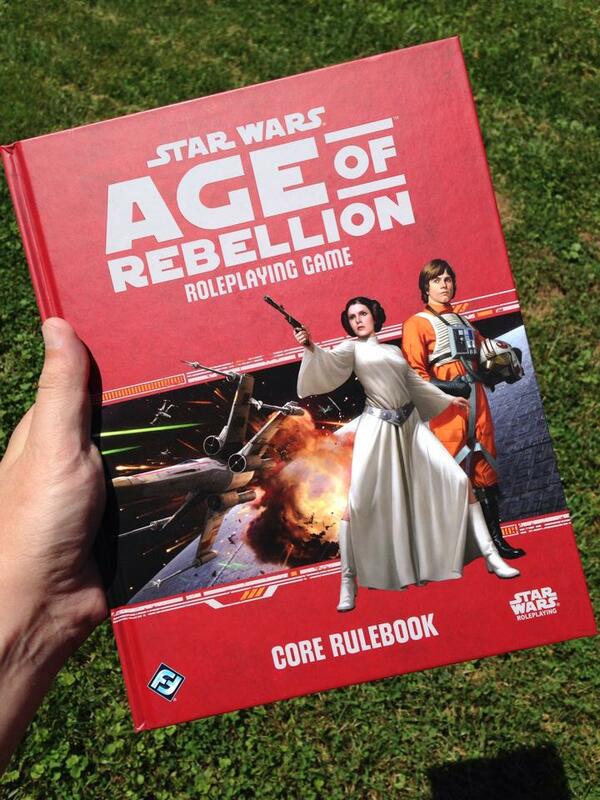 The Age of Rebellion Core Rulebook is the latest release in Fantasy Flight’s Star Wars RPG, and it is awesome! Entirely compatible with Edge of the Empire, it is a complete stand-alone RPG, but since it uses the same system and almost all the same mechanics it can mesh seamlessly with an existing Edge game. Since it is designed to be played by itself, certain redundancies are necessary for people who are new to the system Fantasy Flight has developed. The first introductory chapter is almost verbatim copy of Edge, but with some very nice subtle tweeks to the font and table colors for a more attractive and readable look. The second chapter for character creation is largely similar, but introduces the concept of Duty. This is similar to Obligation from Edge of the Empire, but a bit of a departure from it as well. I’m still a little confused by it, and will need to reread the sections in both the player and GM chapters. In Edge obligation is used as a party-wide threshold to determine how notorious/wanted/criminal you are. You could take on more obligation for benefits in game, but the higher the obligation, the more likely some complication would arise during your current objective. Also, high obligation meant it was easier to deal with gangsters and black market merchants, and more difficult to meet with legitimate members of business or governments. Duty is similar, in that you add each PCs numeric value together to find the total Duty value for the party, and that each Duty a PC takes on should inform in-game choices. The difference is, the more Duty you take on, the better. Once the party Duty score reaches 100, your contribution rank goes up by one and your duty resets to 0. Each time you make a significant contribution to the rebellion, your contribution rank increases, symbolizing you rising through the ranks in the rebellion and mechanically it gives the party access to more powerful rebellion resources (more/better/bigger ships, vehicles, weapons). Similar to Obligation, the GM makes a Duty check to see if something related to that character’s Duty will come up this session. New to Age, if Duty is triggered, all PCs gain +1 wounds and the PC whose duty was rolled gains +2. If the GM rolls doubles on the percentile dice (66 for instance) the PCs gain +2 and the triggering PC gains +4. Four additional wounds is a lot, when many characters max out at 12 or so. I don’t know if I like this mechanic or not. We’ll have to see how it plays out. I like the idea of Obligation and Duty, but in playing Edge, I’ve found it very difficult to integrate Obligation to the narrative. I think Duty can be a really cool aspect of character creation and their place in the Star Wars universe, but how or why they gain more Duty is not abundantly clear. Not only that, but the book mentions using it as a threshold similar to Obligation to judge whether the party would be able to meet with a high-ranking member of the brass, or if the Duty score was too high, whether a neutral governor would risk being seen with the party. The only problem with this is, if you’re an experienced group of rebels with a contribution rank of 4, but a current Duty score of 20, it doesn’t make any narrative sense that you wouldn’t be able to speak with high-profile rebels, or that notorious rebels would be suddenly OK to meet with now that the current score is below 50. I’m not sure how this will integrate in to my games, or if you award duty at the end of a big mission. I’ll have to keep an eye on the forums to see how others are dealing with it. On to the character creation options! There is some retreading of options here (necessary), but also some new options that would be completely compatible with Edge, just as races in Edge would work for Age. Repeats from the Edge core book are Bothans, Droids, and Humans. They also include Duros which were introduced in the Explorer’s Sourcebook Enter the Unknown. New options include Gran, Ithorian, Mon Calamari, and Sullustan. Gran are apparently pacifists and start with a rank in Charm or Negotiation and thanks to their 3 eyes remove up to two setback dice for perception checks. Ithorians start with a rank in Survival and have a natural attack, the Ithorian Bellow that causes Stun damage with blast 3, but causes the PC 3 strain to use. 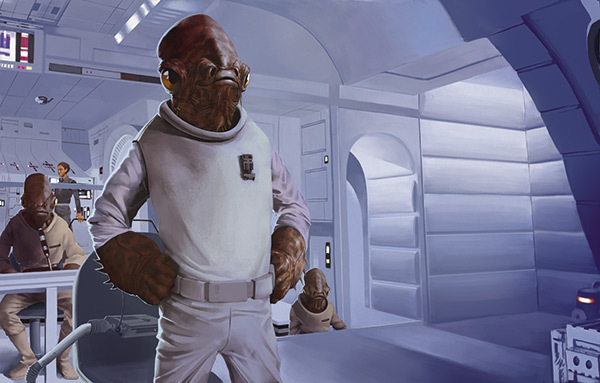 Mon Calamari start with one rank in Knowledge (Education) and are Amphibious so they can breath and move easily thru water. Sullustans start with a rank in Astrogation and one rank of the Skilled Jockey talent (removes a setback die from Piloting checks). The Careers and Specializations borrow a little bit from Edge and some Edge sourcebooks, but for the most part offer new and diverse choices. Essentially if the Specialization has the same name, it is exactly the same skill tree. In Age the choices are Ace (Driver, Gunner, Pilot), Commander (Commodore, Squadron Leader, Tactician), Diplomat (Ambassador, Agitator, Quartermaster), Engineer (Mechanic, Saboteur, Scientist), Soldier (Commando, Medic, Sharpshooter), Spy (Infiltrator, Scout, Slicer), and a new universal specialization called Recruit. The repeats from Edge are Driver (from Enter the Unknown), Pilot (Smuggler), Mechanic (Technician), Scout (Explorer), and Slicer (Technician). The recruit specialization can be bought in to for any character, and is ideal for social or knowledge specialists as it give them fairly cheap access to combat skills to represent basic rebel training so they aren’t useless in a firefight. I generally favor the Specializations that blend skills to give a PC a lot of options in play. Some of the new ones I found compelling are Medic (though medicine is actually a career skill for soldier as well) as it allows you to not just be the “cleric” of the party but gives you weapon skills and a few knowledge skills as well. Also Quartermaster is a nice blend of diplomatic and shady “face” skills. Add recruit, and you have a very well-rounded character. Once you’ve got the party assembled, you choose what Rebellion resources you start out with. The book suggests either a commandeered Lambda-Class shuttle, a squadron of Y-wings (1 for every 2 PCs, they’re the 2-seat variant), or a base of operations on a particular system. If the party chooses the base, they also gain 1,000 credits per PC in starting gear. This last option makes me want to make use of the Suns of Fortune book and start a Corellian rebel cell as a basis for a campaign. Throughout the book there are a lot of great resources about character development, including a helpful table to roll on for NPC quirks to make them memorable. With the exception of “hates droids” the majority of them could be used for NPCs in any RPG. The majority of the equipment is rehashed from Edge, but here again the table for equipment is much easier to read and condensed on to one table for ranged weapons. one for melee. one for armor, and one for all the other gear. The combat chapter is largely the same (again with nicer tables), but the vehicle chapter is much more in line with the original trilogy. You’ll find stats for the T-47 airspeeders (the ones with tow cables that wrap up AT-ATs on Hoth), AT-ATs, cloud cars, AT-STs, X-wings, A-wings, B-wings, Y-wings, TIEs, interceptors, bombers, defenders, shuttles, corvettes, cruisers, dreadnoughts, and even star destoyers! 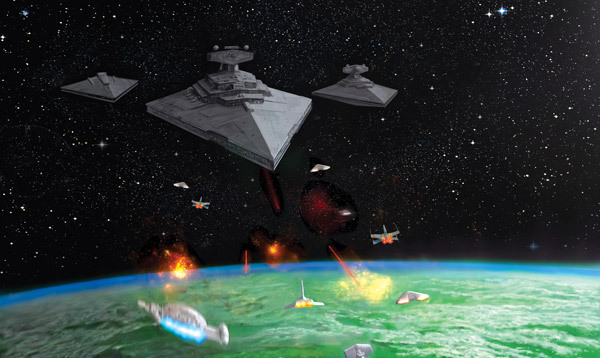 I think ultimately the climax of an Age campaign should be a pitched battle between a Mon Calamari cruiser and an Imperial Star Destroyer. The Force section is somewhat expanded in this book, including a new universal specialization the Force-Sensitive Emergent. This is a new skill tree that gives access to new talents, and represents the rebellion’s efforts to shelter force-sensitives especially in the wake of Luke’s success at the battle of Yavin. It also introduces two new force powers Enhance and Foresee. Enhance allows PCs to roll a force die along with a skill check to influence the outcome in their favor, or be tempted by the dark side to do so. It also introduces the force leap, which costs a full action at first, but allows for some serious repositioning if the PC invests a lot of XP in it. Also Forsee can be used for vague hints from the GM, as well as a little bump in initiative order. The more XP invested, the more powerful this becomes for not only the PC but his allies as well. 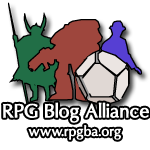 Towards the back of the book, the GM chapter provides a lot of ideas for adventures, as well as tips for running the game and a lot of great advice for running any RPG table. In combination with the Galaxy chapter, there is plenty of adventure seeds for many game sessions. There is also an extensive chapter on the history of the rebellion which can provide a lot of backstory for more casual and even dedicated Star Wars fans. 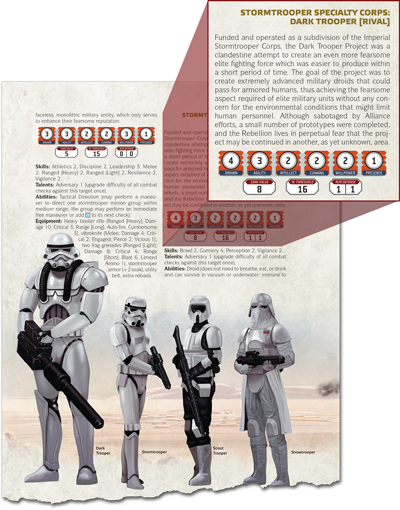 The Adversaries chapter details stats for both Rebels and Imperials, including several variants of Stormtroopers. The adventure at the very end of the book does well to provide a solid structure with plot points, without railroading the characters in to a particular path. 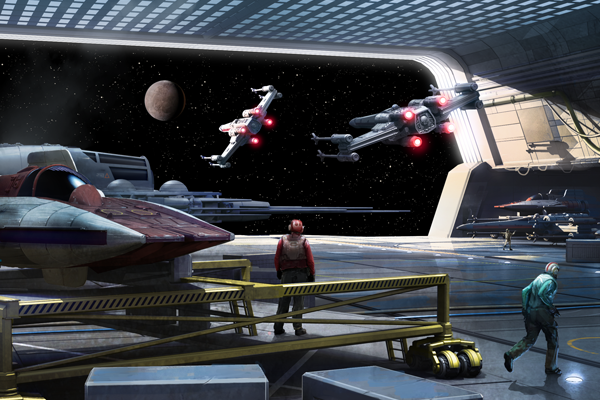 It also allows some flexibility to customize the mission to cater to the PCs Duty and personalize it a bit. Overall, I’m very impressed. If you are a Star Wars fan, and you’ve been on the fence about this system up until now, it’s time to jump off. This is the book you’ve been looking for. On our fabulous free rpg day, I managed to pick up a few free things I had had my eye on. Namely, Cosmic Patrol and Valiant Universe quick start rules from Catalyst Game Labs. 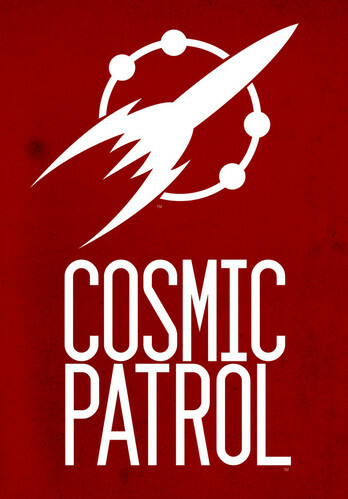 Cosmic Patrol looked very similar to last year’s offering, but in fact has a different adventure in the back, and Catalyst was kind enough to provide a free PDF of last year’s Cosmic Patrol. You can also find the offering from 2012 and blank character sheets on their downloads page. It was not until I started reading the Valiant quick start that I realized how similar these books are. Even copying text almost word for word in places, as both books essentially use the same system. Characters have dice assigned to their various attributes, the higher the die, the better your character is in that stat. This is very similar to the cortex plus system used in Leverage and Marvel Heroic Roleplaying by Margaret Weis Productions. The main difference is for non-combat checks you roll a d12 + the appropriate stat die for the test vs. 1d20. Combat checks are always opposed rolls between the two combatants without any d20s or d12s. I could see this making combat very fast, and cinematic, but the skill checks seem a bit more arbitrary. For instance, if a Patrolman were to pick a lock (as is the example in the book, actually) he rolls 1d12 + brains (1d8) vs. 1d20. If his 1d12+1d8 beats whatever comes up on the 1d20, he succeeds. If a 19 comes up, that lock is suddenly the most advanced lock possible, if a 2 comes up it basically has a piece of twine holding the door closed. It seems to me like objects in the adventure should have set difficulties, otherwise there is no way to measure how difficult something should be. Something very intriguing about the system is that it encourages rotating the GM-like position (called Lead Narrator) between scenes. This allows the narrator to play as well as run, something that can be challenging in other systems. Both books do specify you can have a designated LN, but are encouraged to pass the book around the table. I’m not sure how this would work out during play, but seems like an interesting concept. Recently, at the end of running the very entertaining Age of Rebellion beginner box, the group started to talk about what we wanted to play next. The usual suspects came up, Pathfinder, Edge of the Empire, DCC, and when I mentioned the stack of unrun DCC modules I own, Mike mentioned, “Don’t you ever want to play DCC?” Which is a fair point. It would be interesting to be able to both run, and play in a meaningful way. Most often GM-run characters can’t participate fully because of GM knowledge about the adventure. I wonder how that plays out in this system. Overall they are both really interesting adventure starters with a pretty easy system to pick up quickly and run with. Catalyst is also supporting both of these releases with a raft of other free PDF downloads for both Valiant and Cosmic Patrol. I don’t know that I’ll be able to play either for awhile as the current gaming docket is full with Jewel of Yavin for one Star Wars group, and Operation: Shadowpoint for the other. Also I’d like to try Dungeon World at some point. Oh, and some little company called Wizards of the Coast is releasing the basic rules for the latest version of D&D on July 3rd. It’s going to be a great summer for gaming!